Imogen's Typewriter. 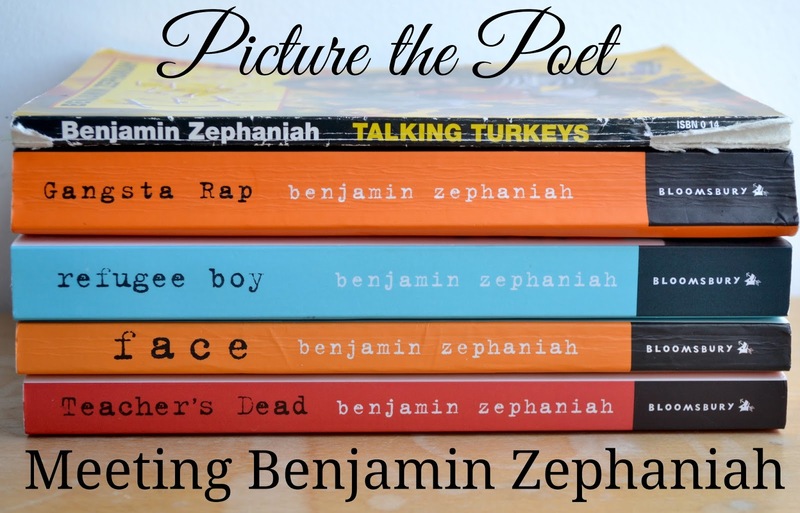 : Picture the Poet & Meeting Benjamin Zephaniah! It's World Poetry Day! 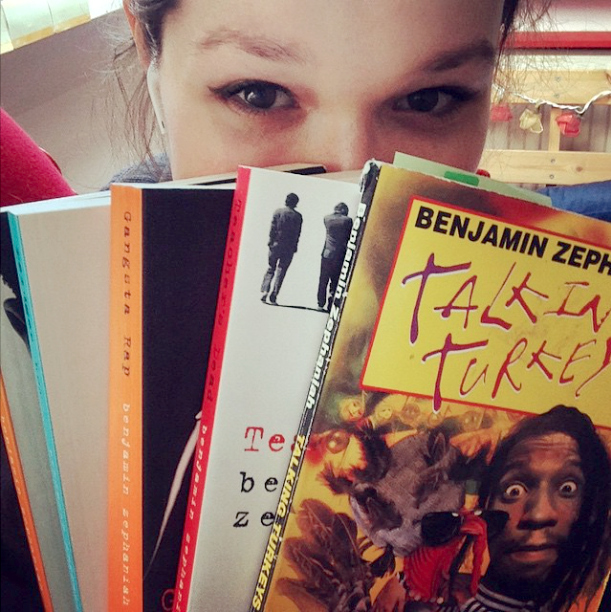 And yesterday I went to a poetry event at the Harris Museum and Art Gallery in Preston where my favourite poet, Benjamin Zephaniah, would be performing some poetry along with a local poetry group and several other poets. This was my first performance poetry event and it wasn't half bad! Ever since I was a kid and nicked my brothers copy of Talking Turkeys, I've loved Zephaniah's work. I even have a cassette tape of his poems and it was the first poetry that really sunk in and affected me- literally, the poem Talking Turkeys was one of the reasons I became a vegetarian. So when I knew he was going to be there performing, I had to go. I was lucky enough to exchange a few words with Benjamin at the interval about poetry, writing and how much I love his books. 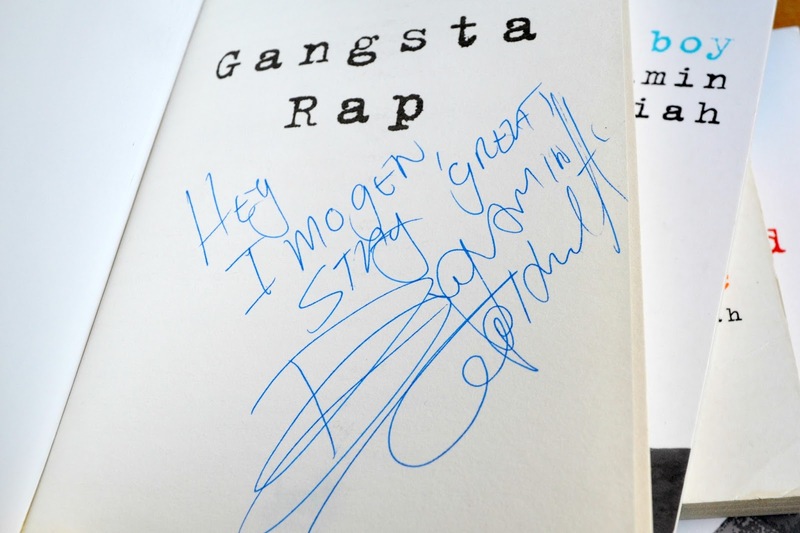 Being a total dork, I asked if he would sign my beaten and battered book of poetry and he was kind enough to sign all five of the books I brought. Including four of the novels that I've never read in order of publication- but clearly need to as there is a bit of an easter egg where characters show up in the next book! Now I'm just waiting by the door for the new book I ordered; Terror Kid. I'll admit, much to the embarrassment of my mother, poetry really isn't something I actively seek out in my reading. I gravitate to prose and when it comes to writing it- I'm never pleased. But seeing him, and the other poets perform has shown me a side of poetry that isn't school anthologies. The rhythm, the syntax and just the life in the performance is completely new. I'm actually looking forward to my Art of Poetry module a little more now. Picture the Poet is a touring exhibition by the National Portrait Gallery that is in Preston until the 11th of April. The event had been organised by Apples and Snakes, so if poetry is something you're into then it might be something to look into! 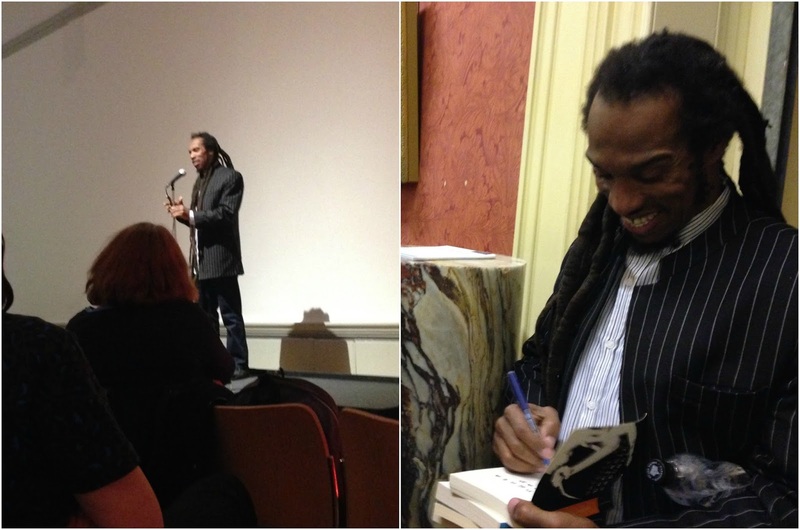 They say never meet your heroes- I say, if one of your heroes is Benjamin Zephaniah then go for it. Anyway, enough gushing, I have books to re-read in a new order. Happy World Poetry day everybody! Have you ever been to a performance poetry event?